The primary iron-titanium oxide minerals (magnetite ulvöspinel, ilmenite-haematite and rutile), together with their secondary oxidation products (maghaemite, haematite, pseudobrookite, TiO2 minerals and sphene), are similar to those found in basic rocks. Chromite, however, is less common but other metal oxides, namely cassiterite, columbite and bixbyite, are more abundant. Early sulphides include pyrrhotite, pyrite, chalcopyrite and marcasite. (Haggerty, 1976b). Although the mineralogy of granites is variable, they are essentially quartz and feldspar rocks that carry micas, amphiboles and pyroxenes, together with a wide variety of accessory minerals. Accurate characterization of the minor and accessory phases within granites should complement geochemical studies, especially if mass-balance calculations are to be performed. Reflected light investigation of the opaque and accessory phases has an important role in helping to discriminate fertile from infertile granites, in terms of their potential for economic metalliferous deposits or for geothermal energy (the so-called high heat producing granites). 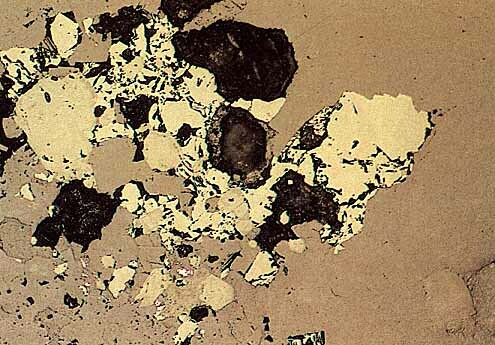 Accessory minerals are found as 10-100µm diameter grains between quartz and feldspars, or commonly within mafic and especially altered mafic minerals. Pleochroic halos in mafic minerals usually suggest the presence of one or more accessory minerals and repay careful study. Amongst the more common primary opaque and accessory minerals are zircon, allanite, sphene, tourmaline, epidote; ilmenite-haematite, magnetite-ulvöspinel, cassiterite, columbite-tantalite, uraninite, thorite, TiO2 minerals, pyrochlore group minerals, wolframite; apatite, monazite, xenotime; pyrite, pyrrhotite, chalcopyrite, sphalerite, arsenopyrite and molybdenite. In addition, numerous rare earth element-bearing carbonates and fluorocarbonates and U-Nb-Ti-bearing oxide minerals have been recorded. The accessory minerals occur as loose aggregates, often with symplectite-like intergrowths, at crystal boundaries of the silicates, or lie along the cleavage planes and grain boundaries of mafic minerals. In Nigeria, sodium-rich fluids have altered a variety of granites into quartz-albite rocks containing minor amounts of Li-rich mica. Accompanying the alteration is an enrichment of Nb (Ta), Zr, Hf, Th, U, PEE, Fe, and Mn. 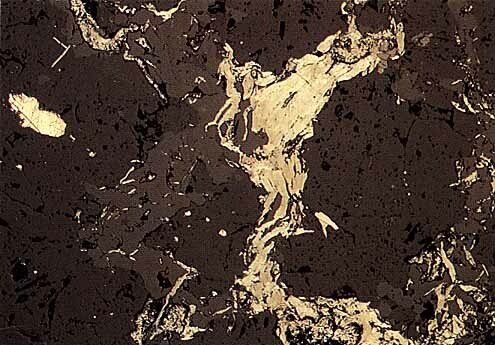 Different compositions of the primary granites are reflected in different mineralogies in their secondary albitites; for example, niobium mineralization in peraluminous granite is present as columbite, in peralkaline granites as pyrochlore, and in metaluminous granites as fergusonite. 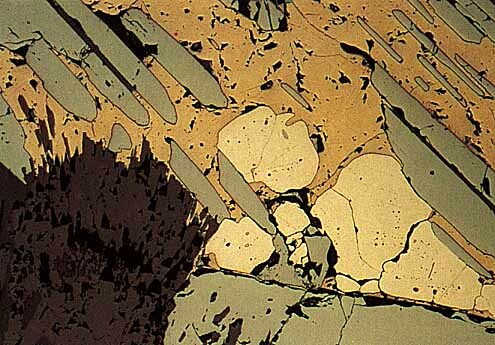 At Ririwai, potassic metasomatism has converted a biotite granite into a quartz, microcline and white mica rock with subordinate amounts of topaz and sericite. Minor amounts of tin and tungsten were introduced. Cross-cutting quartz veins in granites are common and carry metal oxides, base metal sulphides and arsenides. Associated wallrock alteration includes greisenization and tourmalinization. These are the classical tin-tungsten-molybdenum-bismuth-arsenic-bearing hydrothermal veins associated with apical areas of granites. 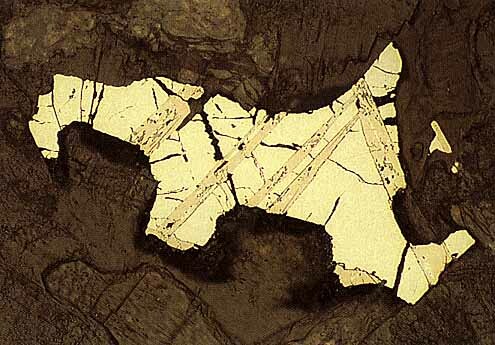 The ore mineralogy of the veins is similar to that of greisens except that sulphides become volumetrically the more abundant and oxide minerals less so. The mineralogy of granite-associated quartz veins is extensive. Common minerals include cassiterite, wolframite, molybdenite, stannite group minerals, bismuthinite, chalcopyrite, sphalerite, galena, pyrrhotite, pyrite, marcasite, arsenopyrite, lollingite and tetrahedrite group minerals. These are accompanied by minor amounts of sulphosalts and native metals. Much of the world's copper and molybdenum are produced from very large tonnage low grade sulphide ores associated with high level, acid to intermediate, porphyritic intrusions of Tertiary to Quaternary age; these are the porphyry deposits. Three main types are recognized: porphyry copper, porphyry molybdenum and smaller porphyry-style tin-tungsten stockwork deposits. By-product gold, silver and base metals are produced. These are mined for copper with by-product molybdenum, gold and silver; some contain tungsten as wolframite. A central, small, porphyritic stock is surrounded by a series of genetically related alteration zones and ore shells that carry hypogene sulphide (and minor oxide) mineralization in disseminated quartz veinlets and healed microveinlets. In some deposits, larger veins carrying gold and silver mineralization are found in the outermost alteration zone. Moving from the porphyritic stock outwards, the hydrothermal wallrock alteration zones are: potassic, phyllic, argillic and propylitic. Each carries a distinctive hypogene sulphide-oxide assemblage. The inner potassic zone, characterized by the development of secondary orthoclase and biotite together with quartz, albite, sericite,. anhydrite and apatite, is roughly coincident with an innermost low-grade chalcopyrite, pyrite, molybdenite, magnetite and bornite zone. Molybdenite, then chalcopyrite and finally pyrite increase in amounts towards the phyllic zone, but generally chalcopyrite is more abundant than pyrite. Rocks in the phyllic zone comprise quartz, sericite and pyrite (with up to 10% by volume pyrite). The main economic ore shell occurs within this zone, often at its junction with the potassic zone. Pyrite is accompanied by chalcopyrite, molybdenite, bornite, chalcocite, magnetite, enargite and sphalerite within abundant quartz veinlets. The argillic zone comprises montmorillonite, illite, chlorite and kaolinite and carries pyrite with chalcopyrite and bornite with trace amounts of chalcocite, enargite, molybdenite, tennantite, sphalerite, galena and wolframite. The propylitic alteration zone comprises chlorite, epidote, calcite and pyrite. Pyrite is the main sulphide and trace amounts of bornite, molybdenite, sphalerite, galena, magnetite, specularite, rhodochrosite and rhodonite are also present.